Today’s mobile workers need dependable access to everything they would have in the office – communications, scanning, look-up, inventory, printing and more. And they need it all to be at hand wherever they happen to be working. That often means in hostile environments. You can’t count on consumer grade devices when your enterprise is primed for non-stop performance. The most common objection to purchasing rugged devices is the initial cost, but Total Cost of Ownership (TCO) of a rugged device versus a standard one turns out to be much less. Consumer grade electronics are simply not made to handle extreme conditions. When subjected to day-to-day commercial use, consumer devices fail much sooner and more often. Drops, heat, moisture, vibration, dust and other common workplace issues are too much for consumer grade devices withstand. Interrupting the workflow for a day, or even an hour, while you repair, or replace a broken consumer (non-rugged) device negates initial savings. Even in a retail setting, rugged is a necessity, not a luxury. Retailers need to give their workers the right devices to get the job done. Rugged devices that stand up to the rigors of the mobile workplace make workers more productive and provide a smooth, seamless experience for shoppers. A truly rugged device will be MIL-STD-810G tested for drops, vibration, shock and extreme temperature tolerance at a minimum. Zebra goes beyond the minimum and will test device behavior when exposed to high humidity levels, salt fog, fluid contaminants, and frequent altitude variations. And all the tests, including the drop test, are done while the device is operating, not powered off. Indoor/outdoor: Are you working outside or in? Temperature: Will the device be used in a freezer, extreme heat, or in a controlled environment? Impact: How likely is it the device will be dropped? From what height? And onto what kind of surface? Vibration: Car, forklift, or jack hammer? Constant exposure to vibration can damage circuits and severe connections. Water resistance: If you use your device outdoors (even indoors), will it encounter just a few drops every now and then? Will it be operated in rainstorms? Could it be totally submerged in water? Humidity: Again, not something we usually give much thought to. But constant high humidity may wreak havoc with sensitive circuits unless they are properly protected. Sand and dust: If your computer will be exposed to sand and dust it better be protected against them. Not only do they meet industry benchmarks in these two areas, they are the ones setting new standards. That is why you can trust Zebra’s fast, powerful, and high-quality devices to do exactly what you need them to do ( i.e. work with your software; connect in remote areas; integrate with operational technology such as peripherals, IoT, sensors, etc.) and support every workflow and worker as long as you need ( i.e. future-proof scalability, OS upgradeability, expandable storage and memory, etc ). 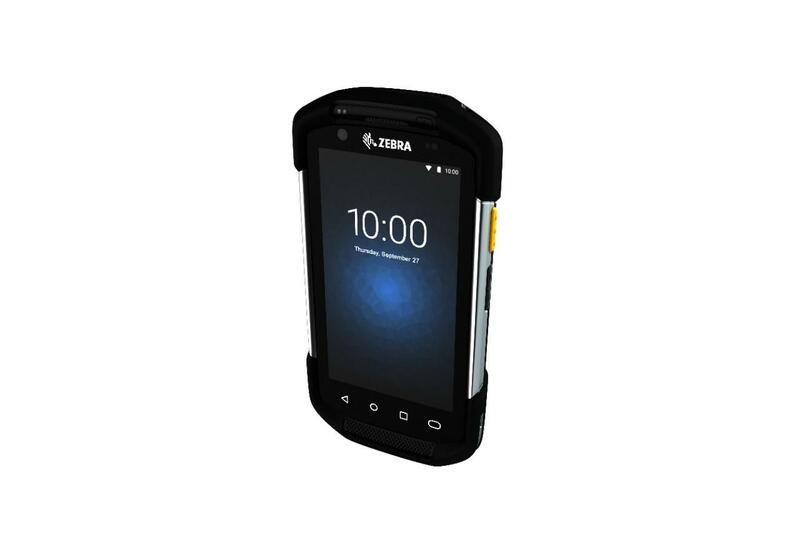 Zebra’s rugged built mobile computing, scanning, and printing solutions connect each operational area in your warehouse to give you and unsurpassed up-time with the agility you need to realize transformational gains. 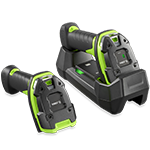 Give your workers unstoppable performance in the toughest environments with 3600 series rugged scanners. Workers can capture codes in hand as well as on the top of your warehouse racks. You get a design that is practically indestructible and freezer-ready, plus unrivaled manageability that makes staging and everyday management easier than ever. Zebra’s ultra-rugged TC72 WLAN and TC77 WWAN Touch Computers takes service to the next level providing the ultimate user experience inside the four walls and outdoors. When your mobile workforce needs access to a printer, the common office ink-jet printer will not suffice in the mobile environment. Increase productivity, precision and accuracy. Equip your workforce with wireless mobile printers tailored to how they work. Rugged machines that feature a range of latest connectivity options and robust functionality designed for tough environments. Zebra’s compact ZQ500 Series mobile printers are the industry’s most rugged, featuring a military-grade design, the latest connectivity options and user-friendly functionality so your team can keep operating in the most challenging environments. Improve inventory management and customer service with the ZQ600 Series mobile printer. The ZQ600 Series delivers advanced technology and an innovative design that drives productivity, ease-of-use and manageability. Do you know if your rugged mobile PC is C1D2/C1Z2 or ATEX compliant for explosive environments? When eliminating – not just minimizing – risk is non-negotiable in Hazardous Locations, it’s critical that you invest in either a C1D2/C1Z2 or ATEX compliant rugged tablet PC and a partner that can demonstrate the intrinsic safety of its tough mobile computer technology. Xplore offers both. The best way to safely harness the advantages of rugged mobile computers in Hazardous Locations (Hazloc) is to employ ruggedized tablets that are either C1D2/C1Z2 compliant or ATEX compliant, depending on your regional operating standards. That’s because C1D2/C1Z2 and ATEX compliant tablets are engineered with “intrinsic safety” techniques applicable to both “live use” and rugged tablet failure situations in explosive locations. CID2/C1Z2 is an ANSI/ISA North American certification for Hazardous Locations. This standard identifies three types of hazardous locations categorized by Class I (gases, vapors, and liquids), Class II (dusts), and Class III (fibers and flyings). It also identifies two divisions that indicate the level of explosive elements anticipated in each work location: Division 1 (or Zone 1) means that an explosive environment may be present during normal operating conditions. Division 2 (or Zone 2) means that explosive environment may be present only during a fault condition and for a limited time. The ATEX Certification is based on the requirements of two European Directives – Directive 99/92/EC (also known as ATEX Workplace Directive) and Directive 94/9/EC (the ATEX Equipment Directive). Derived from the French title of the latter – Appareils destinés à être utilisés en ATmosphères EXplosives – ATEX directives describe what equipment and work environment is allowed in explosive environments. • MIL-STD-810 refers to a standardized set of tests used to gauge how rugged tablets and laptops perform in harsh environments. MIL-STD-810 tests the durability level of rugged design against various hazards, such as drops, vibration, wind & rain, sand & dust, crash shock and extreme temperatures. • Ingress Protection tests rate the level of protection offered by a gadget’s enclosure against water and dust penetration. IP67 rated products confirm a rugged tablet, handheld or laptop’s tight protection against dust and water ingress. 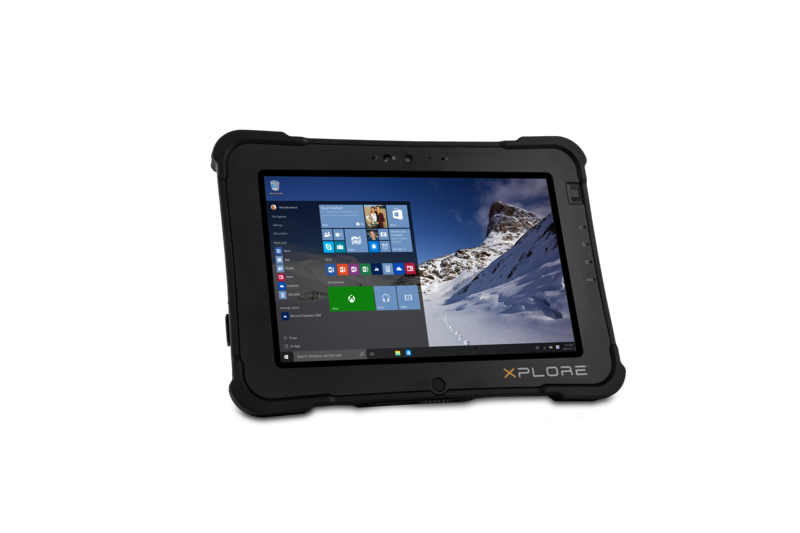 XSLATE B10 rugged tablet endures even the most extreme work environments. Better yet, it doesn’t compromise critical PC capabilities despite being only 2.4 lbs. It actually gives you more of everything you need now: more core strength and power under the hood, more security, more workflow flexibility and more rugged mobility. The hardened exterior, doubly-powerful interior and “all ports, all the time” connectivity of the XSLATE D10 rugged tablet gives the Android™ 6.0.1, Marshmallow OS a sweet, but tough, new edge over its competition outside the office and, well, everywhere under the sun. With an IP65 rating and 10.1” sunlight-viewable display, this supremely rugged Android tablet is ready for your job’s most extreme elements. The transformational 2 in 1 device gives you all the high performance capabilities and complete computing functions you need in a single platform. You’ll have the right connectivity and ergonomics for a quick transition from the field to a full desktop computing experience – and the most conveniently stored Companion Keyboard on the market. It’s fast to deploy when you want a notebook, and even easier to store when you don’t. This makes the XSLATE R12 rugged tablet much more evolved than traditional detachable tablets, improving upon its own award-winning R12-series predecessor. Ensuring your mobile workforce has the appropriate tools to effectively, efficiently and continuously do their jobs allows your organization to run smoothly and profitably. Though the initial cost of a rugged device may be higher, the TCO is comparable or even lower than a consumer grade device over its life. Bar Code Direct develops custom enterprise wireless mobile computing and barcode systems for supply chain, retail, healthcare, and hospitality. Our solutions increase productivity for warehouse workers, package delivery and sales personnel, freight truck drivers, field service technicians, in-store associates, and caregivers. 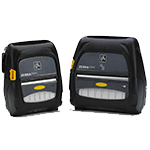 Let Bar Code Direct help you find a rugged solution that fits the way you work. With the GO Zebra, GO Bar Code Direct Trade-in Program, you can earn rebates up to $200 per device when you trade-in an old unit and purchase one of Zebra’s eligible devices. Deliver mobile computing power to your work force with instant rebates. Call 1-800-343-1750 to talk with a Bar Code Direct Consultant.